Not my mid 40’s. It’s the mid 40’s of my 100 books in 2012. I’m not telling you how old I am. I’m a lady. Or something very much like one. But first we have winners! I should have replied to each of your comments letting you know that you won, but here is the list of winners. Everyone, email me at medusasmirror@gmail.com with the address you’d like your book sent to and I’ll get those out in the next few days. Thank you so much for entering my giveaway and check back. I’ll be having more as the blog goes on. Now, onto some book reviews. 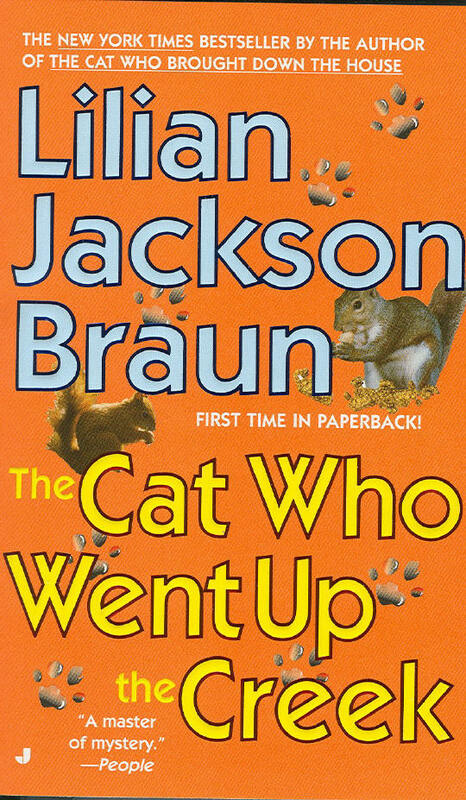 Today I’m going to talk about four books, since one of them is another Lillian Jackson Braun and those are pretty short reviews. Gladys Mitchell was one of the British Crime Queens working in the first half of the 20th century. She was about as prolific as Christie or Marsh, but hasn’t remained quite as popular. I found her because of a small series of videos that were made featuring her primary detective, Mrs. Bradley. 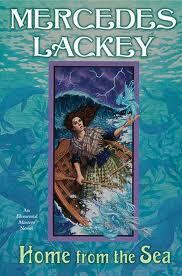 Mrs. Bradley is a psychologist and widow who has lived a dreadfully interesting life. She has a wide circle of friends and oftentimes they draw her into murder investigations. The mini series was produced by the BBC and featured Diana Rigg as Mrs. Bradley. Tom Brown’s Body is set in and around Spey School. Mrs. Bradley is in the region searching for a book of spells that belonged to a distant relative. She is attempting to wheedle it out of Mrs. Harris, the local witch, when a school master is found murdered. Mrs. Bradley is asked by the headmaster to look into the matter. Suspects abound; other masters, jealous lovers, angry students, prospective fathers-in-law, village witches. Everyone comes under Mrs. Bradley’s scrutiny. The mystery itself meanders a bit. There are boys sneaking out of bed, school masters dabbling in the dark arts, master’s wives dabbling in adultery. Mrs. Bradley doesn’t so much collect clues as herd witnesses about. The book suffers from the obvious issues of its era. It was written in 1949 and so is not as socially progressive as one might like. In actual fact, it reads like something written in 1939. The war is very much not in evidence outside of the fact that it has been hard to find school masters to fill vacant spots ast Spey. Another downside, is that the Mrs. Bradley of the books is, sadly, not very much like Diana Rigg. She is not terribly attractive or glamorous. I suspect that most of my fondness for this series is carried over from the tv show rather than the other way around. 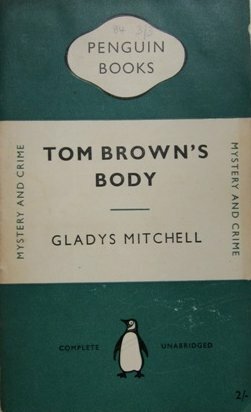 I gave it 3 stars on my goodreads page, but I don’t know that I’ll be delving much further into Ms. Mitchell’s catalog. In this installment of the series Qwill is staying at the historic Nutcracker Inn. The inn has a sad, romantic history, a large collection of nutcrackers, and a local population of squirrels that swarm up and down its intricately decorated sides all day. The Inn is situated close to a nature preserve owned by the K-Fund. One of Qwills neighbors at the Inn goes off on a canoeing expedition one day and never returns. Qwill and Koko look into the matter while also setting up an exhibit of antique black walnut furniture, planning a book of nature photography, and looking into illegal activity in the nature preserve. As with many of the later books in the series, the mystery is far from the central element. They have ceased to be who-done-it’s and become atmospheric pieces about Moose County and the people therein. I’m fine with that, but they wouldn’t be for everyone. 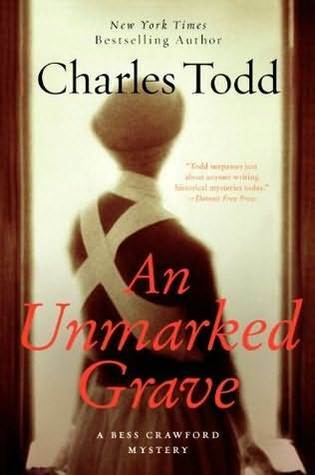 This is the fourth Bess Crawford mystery by Charles Todd. Bess is working in a hospital in France during the spring of 1918. The Spanish Influenza has begun to eat its way through the soldiers and the medical staff. Bodies are being stored in sheds until the overworked teams of grave diggers can get to them. After one especially long shift an orderly comes to Bess and shows her a body that has no business being in the burial shed. The man did not die of the influenza, nor was he a patient in the hospital. Even more, the man is someone Bess knew; a soldier in her father’s old regiment and a friend. All the signs indicate that the man was murdered and hidden in the shed, but before Bess can alert anyone she herself is struck down by the influenza. Bess faces a long recovery and the memory of the hours before her collapse are hazy and muddled up with fever dreams brought on by her illness. She is half convinced that she imagined the whole thing, but the man she saw is listed as a deserter and the orderly who showed him to her has committed suicide. Bess cannot let it rest at that. Something much deeper is going on and she will defy her family and the killer himself to find out what and clear the names of the two dead men. As usual, I loved this book. Bess has never been an untouchable heroine. She starts the very first book wounded, but there is something about seeing her so vulnerable to the flu that I found really touching. I also like the way her family reacts to try to protect her. She understands their fears, but she cannot let things lie. The very first book in this series is titled A Duty to the Dead and I get the sense throughout the entire series, but especially in this new book, that Bess feels a sense of duty to those who are hurt and killed fighting this war. She cannot let good men be reviled as cowards or deserters, she cannot let their families live with that stigma. It is not that she wants to investigate, but that her duty compels her to. This is another installment of the Elemental Masters series. These books are loosely connected, but none of them directly follow each other. This book focuses on Mari Prothero, a Welsh fisherman’s daughter. Her family has always had luck when it comes to fishing, but not so much when it comes to their personal lives. Mari’s mother and brother were swept away by a rogue wave when she was a baby so it’s been just her and her da since then. However, what Mari doesn’t know is that her da’s luck with the fishing comes with a price tag. For generations the Protheros have taken selkie wives and had two children, one for the land and one for the sea. But Mari, the girl, is the land child this time. She will have to take a selkie husband, bear two children, and give husband and baby back to the sea. Mari, being a strong-minded girl decides to make the best out of a bad situation. She’ll take a selkie husband, but she’ll have one who courts and wins her, not one who is foisted off on her. What Mari doesn’t know is that the Prothero blood and the selkie blood in her line have combined to make her a powerful water master. Her power makes her a threat to the selkie leader, a threat she can’t answer on her own. This book is a bit of a departure from the format of the rest of the series. There isn’t a terrible lot of dramatic tension throughout most of the story. One reviewer on goodreads, which of course I can’t find again, compared the front end of the book to Little Womenwith magic. I think that’s totally fair. There isn’t a sense of urgency of danger. There is a large amount of attention paid to daily life and Mari’s courting and training. The climax therefore feels a little smaller than in other books in the series. The threat level is different. It’s a much more personal threat to Mari’s family rather than the huge scope of previous villains. That doesn’t mean that it’s bad, just that it’s different. I expected one thing and got another. It reminded me a bit of Death Comes to Pemberly. I thought I was getting a murder mystery, but I was getting a novel of manners with a murder. I would say that rather than Home From the Sea being a magical adventure it is a family story with magic.